Sometime ago, I was working with an amazing Tattooist – however, as we all know some tattoos/piercings are NSFW. For that, we needed to provide a disclaimer to users visiting her website that the content was possibly NSFW, but still allow certain WordPress categories the ability to be viewed, if they were okay. To my surprise, there was only ONE plugin that had what we needed; enter – Content Warning. The original plugin was provided on the WordPress repo, but was grossly outdated. The original author wasn’t taking care of it anymore. So, in the spirit of the GPL – I forked the plugin and added a slew of new features and bug-fixes. 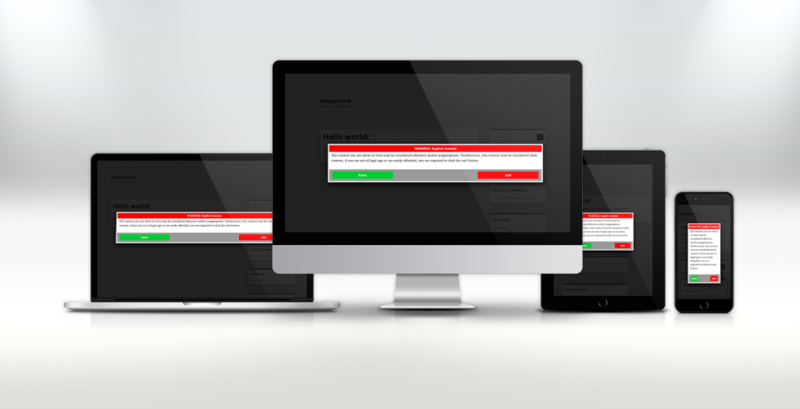 Content Warning v2 – A responsive warning plugin. Block or redirect users who previously denied your terms.